expansive national parks of Alaska and the Yukon Territory. The days of the Klondike GoldÂ Rush of the 18th century come to life with visits to historic sites and authentic recreations inÂ Anchorage, Fairbanks, and Dawson City. Return to Vancouver with a sense of theÂ cultures and events that shaped the Pacific Northwest. Arrive at Vancouver International Airport.Â Independently transfer to the Vancouver cruiseÂ terminal where you board the Celebrity MilleniumÂ and are welcomed by the crew who will be your hosts for the next 7Â nights. Familiarize yourself with amenities of the ship and watch theÂ sun set over the water from the wide decks of this magnificent craft.Â Overnight on board the Celebrity Millennium. Dinner included. The ship weighs anchor and sets sail this morning for one of the most famously beautiful passages in the world. 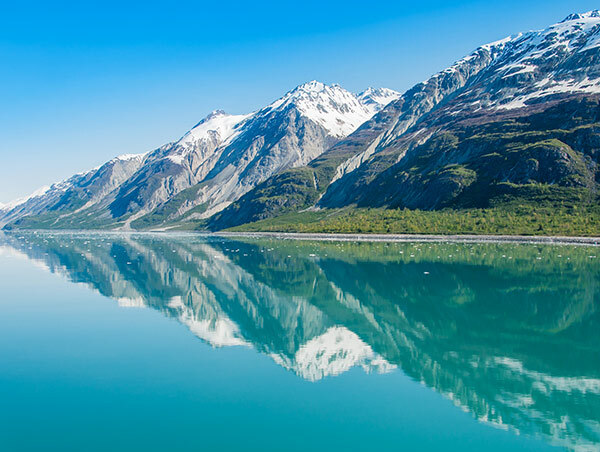 Just beyond the deck rails, the gems of Alaska are laid open in a spellbinding vista, including rainforests, glaciers, fjords and white-capped peaks. Along the way it is common to view whales and sea lions at play along the coastlines as well as a near countless assortment of marine bird life. Overnight on board the Celebrity Millennium. Full board included. Today you cruise down the coast to arrive in the town of Ketchikan - the ancestral home of the Tlingit tribe. This community with strong ties to its aboriginal past is also the departure point for Celebrity Cruiseâ€™s optional seaplane excursions into the Misty Fjords National Monument and its 8 900 km2 of pristine wilderness. Ketchikan also boasts the world\'s largest collection of totem poles you can explore independently, or you may visit the Saxman Native Village, Totem Bight and Totem Heritage Center. Overnight on board the Celebrity Millennium. Full board included. Eighty kilometres west of Juneau and at the mouth of Glacier Bay, lies the historic Icy Strait Point. Travelers have the unique opportunity to experience Tlingit culture, superior wildlife viewing opportunities and years of Alaskan history on optional excursions offered by Celebrity Cruises. Watch the sun set against the dramatic landscape as the ship anchors off the point for the night. Overnight on board the Celebrity Millennium. Full board included. Where the legacy of the tin pan prospector meets eco-adventure tourism of tomorrow would be a good way to describe the charms of Alaska\'s capital city. Here the pioneering spirit lives on in an interesting mix of cosmopolitan chic and frontier ruggedness. 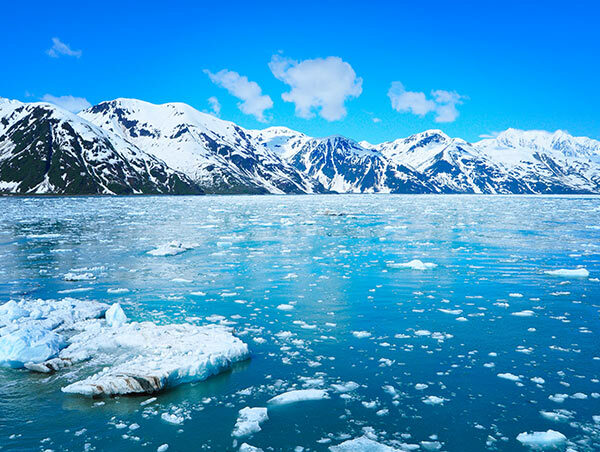 There are many places to visit in port including Alaska State Museum and its exquisite collection of Russian Orthodox and Gold Rush relics, or take advantage of optional excursions offered by Celebrity Cruises. Overnight on boardthe Celebrity Millennium. Full board included. Today we continue cruising and arrive at Skagway, an important outpost during the days of the Klondike. You may wonder along the wide sidewalks of Broadway Avenue and visit some of the vintage shops, small museums or enjoy a treat at one of the restaurants. You may wish to independently take the White Pass Summit Excursion, a rail adventure on the White Pass & Yukon Route railroad as it winds its way along narrow tracks through the mountain. Overnight on board the Celebrity Millennium. Full board included. Hubbard Glacier is the one glacier in the world that does not move at a glacial pace. In 1986, Hubbard Glacier - the largest tidewater glacier on the North American continent - moved an average of just under 2 metres per hour. Keep a watchful eye as the ship sails through the Yakutat Bay as the geological history unfolds before you. Overnight on board the Celebrity Millennium. Full board included. After breakfast on board the ship, you check out, debark the ship and take an scheduled transfer to Anchorage where you check in at your hotel. The remainder of the day is at leisure. Take some time and explore this small northern city and itâ€™s unique, rugged character. Overnight in Anchorage. Breakfast included. Today enjoy a day to independently explore the city of Anchorage. This is a good time to try some local cuisine, or purchase some essentials before you embark on your guided tour into the Alaskan heartland. Overnight in Anchorage. Today you meet your guide and board your coach. Departing the city along the George Parks Highway we travel northbound towards Denali National Park. The breathtaking landscape offers constantly changing panoramic views with distant glaciers and beaver dams in the nearby river. Late afternoon, there is the opportunity for a one-hour glacier flight to Mount McKinley for passengers wishing a birdâ€™s eye view of the park. (optional). Overnight close to Denali National Park. Without a doubt this is one of the highlights of Alaska. In the morning we will go on a Denali wildlife tour. A park-operated shuttle bus takes us deep into one of the most scenic landscapes in North America. Weather permitting, you will see majestic Mount McKinley, 6193 meters high making it the highest mountain in the U.S.A. The variety of wildlife may be seen, such as wolves, dall sheep, moose, caribou and grizzly bears. Admire the expansive Wonder Lake, located approximately in the middle of the park and renown for wildlife viewing opportunities. Overnight close to Denali National Park. Today we get back on the George Parks Highway and make our first stop in Nenana to visit the Alaska Railroad Museum. In the afternoon, we arrive in the small city of Fairbanks. The remainder of the day is at leisure to independently visit the sights and places of interest around the city, located about 320 km south of the Arctic Circle. Perhaps visit the Alaska Dog Mushing Museum, or treat yourself to a local delicacy at one of the numerous restaurants, including the famous king crabs! Or perhaps take a sternwheeler cruise on the Chena River or watch the Crown of Light Show - a photo symphony highlighting the Aurora Borealis. For a taste of local theatre, you may wish to attend the Gold Rush Show at the Malemute Saloon (optional). Overnight in Fairbanks. After strolling through downtown Fairbanks in the morning we are on our way southbound passing innumerable lakes and rivers in this beautiful landscape. Today we are going to see the Trans-Alaska Pipeline again, crossing the Tanana River right next to the highway. In Delta Junction we meet the Alaska Highway and visit the local visitor center. The journey continues via the Top of the World Highway. Beyond the timberline we will pass through beautiful tundra scenery and cross the border at Little Gold Creek, which is the checkpoint with the highest elevation between Canada and the U.S.A. On this stretch villages with strange sounding names like Chicken, Action Wade Camp are to be seen until in the afternoon we will cross the Yukon River by ferry to reach Dawson City. Overnight accommodation in Dawson City. 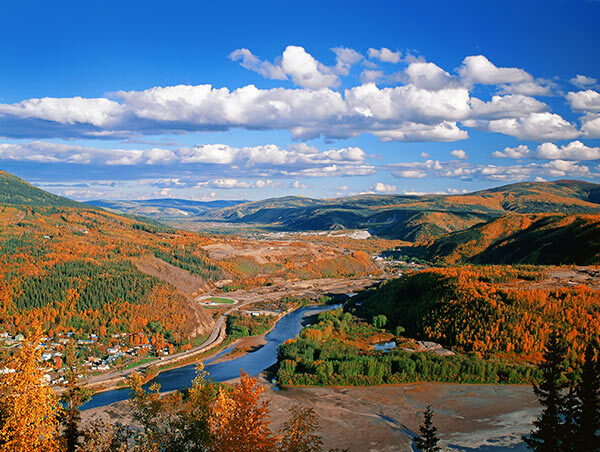 People still dig for gold in this historical town located where the Klondike flows into the Yukon River. You may try your luck panning for gold yourself. A visit to Bonanza Creek, the Jack London cabin, and the Midnight Dome, Dawson Cityâ€™s very own mountain, are on the agenda, as is the remarkable Gold Diggers Museum. You may want to stroll around town with its nice buildings, some of them still original, some beautifully restored. The Palace Grand Theatre, offering musical entertainment and turn-of-the-century style is another option. We conclude the day with a show at the famous Diamond Tooth Gerties Casino and Cancan. Overnight in Dawson City. After getting up early we will drive up the Dempster Highway - the only connection to the remote town of Inuvik at the Polar Sea. We will discover the Tombstone Mountains before continuing on into the tundra of the mountain range where every season has its own unique attraction. Overnight in Dawson City. This morning you are transferred to Whitehorse Airport for your flight to Vancouver International Airport.